Keep your fleet of up to 32 notebooks and Chromebook™ notebook computers charged and ready to go at the start of each day with the affordable, durable HP 32U Essential Charging Cart, a lockable rolling cart that securely houses and charges your devices. Recharge your devices to full power from one standard wall outlet. LED indicators deliver easy-to-read status, and built-in venting keeps devices cool. 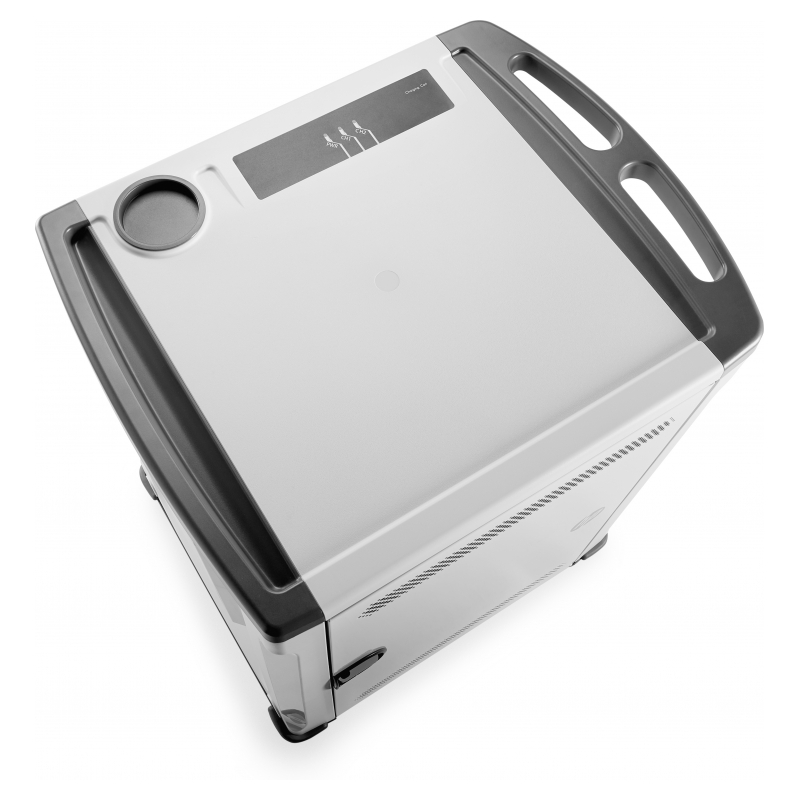 Power extra devices such as a projector or display outside the cart from the cart’s two auxiliary outlets. Use the removable, smooth-edged shelves to customize your cart for storing other devices and equipment when you don’t need all 32 slots for notebooks and Chromebook™ notebook computers. Keep device power cords out of the way with the storage clips. 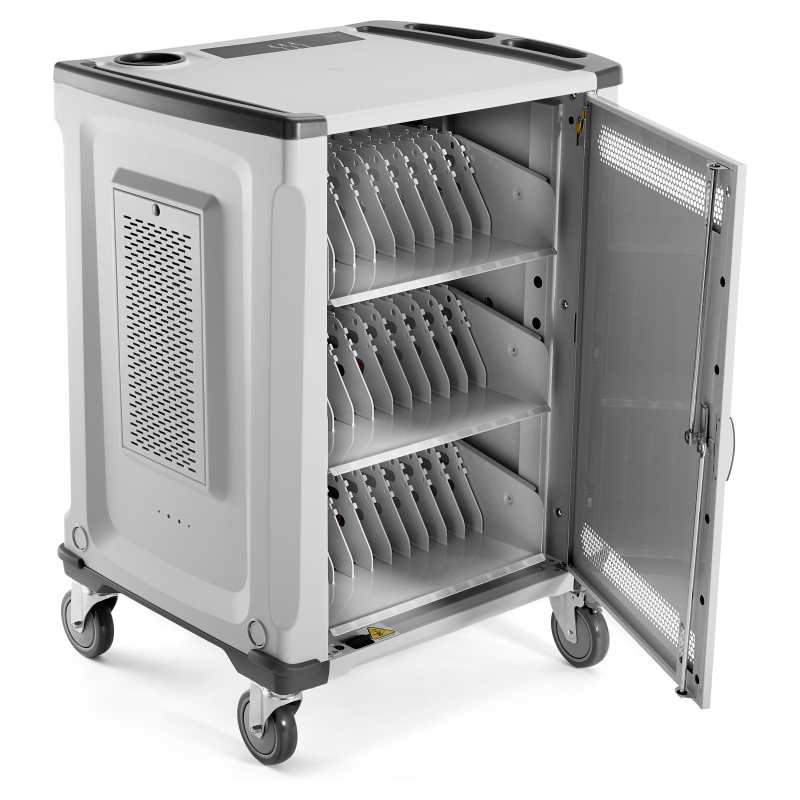 Secure your notebooks and Chromebook™ notebook computers, each up to 15” diagonal, in the main compartment behind lockable doors and covers, and your IT equipment and power adapters in a second, separate, lockable compartment. Move the cart around and between classrooms with integrated hand grips and four rolling wheels. 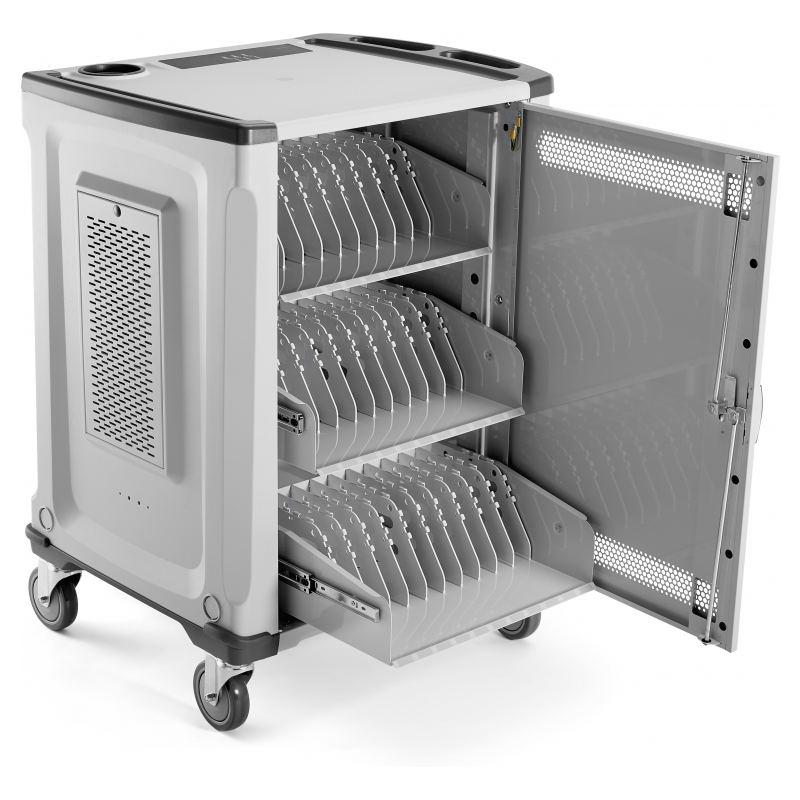 Then simply park the cart, fold the retractable doors back into the unit, and load and unload as needed.